We are proud to announce the opening of our Dry Eye Center, devoted to the advanced diagnosis and treatment of dry eye and ocular surface disease. We utilize the latest state of the art technology for diagnosing Dry Eye Disease. Studies show that more than 20% of older Canadians have dry eye syndrome, or "dry eye." Females and especially females over the age of 50 are twice as likely to develop dry eye versus males the same age. Common symptoms are burning, foreign body sensation, grittiness, itchiness, stinging, redness, soreness, fluctuating/blurred vision, chronic eye pain, sensitivity to light and excessive tearing. Dry Eye can be exacerbated by many factors including aging, a prior history of cataract or refractive surgery, certain systemic medications, work environment (poor air quality), systemic disease like diabetes, auto-immune diseases like rheumatoid arthritis, smoking, allergies, contact lens wear and poor nutrition. Click here to read an article written by Dr. Luke Small, entitled "Be Proactive About Dry Eyes," which appeared in the Winnipeg Free Press in 2014. What steps can I take to minimize my Dry Eye? 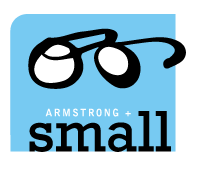 The doctors at Armstrong & Small Eye Care Centre provide Dry Eye Assessments to help them manage and treat dry eye. The underlying cause for dry eye disease is inflammation which tends to wax and wane over time. The following video provides a great explanation of how the cycle of dry eye and inflammation occur. Blink! It may sound simple, but many people who regularly perform eye-straining tasks such as driving, reading or computer use get so absorbed in the activity at hand that they forget to rest their eyes. When you are on the computer for long periods of time, remember to look away from the computer for about 20 seconds every twenty minutes (a 20/20 break), letting your eyes blink freely. Periodically make a forceful blink by squeezing your eyes tightly. This will push out oil into your tear film and prevent your tears from evaporating. Use lubricating drops even before you start an activity such as reading, watching TV, computer work. Make sure to take frequent breaks and use lubricating eye drops throughout these activities. If your eyes start tearing, this is likely reflexive tearing which indicates that you have been drying out during the activity. In which case, pause, blink and re-apply drops. Adjust your TV or computer monitor to a lower height so that you are looking slightly downwards. This lowers your eyelids over your eyes and decreases tear film loss from evaporation. Indoor humidity should be between 40 and 50 percent. Fill the humidifier with filtered water. “ Hard” tap water can cause an airborne mineral dust that can act as an eye irritant. It is a good idea to place a humidifier where you sleep and where you work. When you are in a car, turn the air vents away from your face and eyes. Remember to actively blink while driving. Do a forceful blink at every stop. Wear sunglasses outdoors to reduce sun, wind, and dust exposure. If your dry eye is severe you may benefit from specially designed moisture retaining goggles/glasses. If you wear eye makeup make sure it is waterproof to avoid it leaking into the eye. When applying mascara, only apply it to the tips of the upper lashes. Moisture retention around your lower lids is more important for the overall comfort of your eye. If you can, try to avoid applying makeup to the lower eyelid and lashes. Supplement your diet with foods that are rich in omega 3 fatty acids. Stay well hydrated throughout the day by drinking eight to ten glasses of water per day. If your urine is concentrated or dark in color then you are likely not drinking enough water. Remember that dehydration worsens dry eye. Research suggests that smoking, too, can increase your risk of dry eye syndrome. So if you smoke, here is more motivation to quit! Allergies worsen dry eye as do some of the medications used to treat allergies. Minimize your exposure to allergens. Consult with your Winnipeg Optometrist before using allergy eye drops. Post-menopausal women are at particular risk of dry eye. Estrogen supplementation, when used without progesterone, can worsen dry eye. Speak to your family physician as combining estrogen with progesterone may reduce your risk of dry eye. Each lubricating eye drop is different. Find the brand that works best for you! If the drop comes in a large bottle it has preservatives and should not be used more than 6 times daily as it may irritate the eye further. If you require drops more than 6 times daily you should use preservative-free drops. Do NOT use eye drops that are marketed for treating the red eye. Examples of these products include “Visine for the red eye” and “Clear Eyes - redness relief”. These preparations have active chemicals such as Naphazoline, Tetrahydrozoline, or Oxymetazoline which can cause irritation and rebound red eye. Use a thicker lubricating eye ointment or gel at night before going to bed. Contact lens wear tends to alter the tear film further and will exacerbate a dry eye. Typically patients with dry eye have a hard time wearing contacts or have to minimize their wear. Daily disposables can be a good option to reduce the risk of infection and don’t’ require any solution that may also make a dry eye worse. Laser eye surgery (LASIK) can worsen dry eye. Your dry eye has to be well controlled prior to considering refractive surgery such as LASIK.